Last year, to retrospect 2012, I made ​​a selection among more than 600 images of street art that I had photographed in Paris during that year (see article here). 2012 was my first year living in Paris and I was taken by a certain discipline to photograph each art-work I found on the streets that I considered relevant – it was a way to search the scene of Paris, recognizing the artists through their traits, to understand the different techniques used by them, decode messages and also to immortalize this movement, so characteristic by the ephemerality. To retrospect 2013 recounting the relevant feelings and moments I’ve had, I decided to post the videos I collaborated in some way, throughout interviewing artists, producing, working behind the scenes, indicating, video with friends and amateur videos, however videos that made me live sublime moments. I confess that 2013 was a year a bit undisciplined; provisionally contradicting the wisdom of the great musician and composer Renato Russo , which I greatly admire and who says in one of his songs that “Discipline is freedom” – in my case specifically, to live in 2013 with this certain “controlled indiscipline”, allowed me to live new experiences – I would say radical experiences, a new universe, a menu of possibilities, that allowed me to be free and feel free as I had never been in my entire life. Overcoming is what mainly remark my year of 2013 – overcoming fears and old paradigms, which allowed me to have a year of great emotion, emotions that led me from hell to heaven, that made me live so intensely, making me feel more alive than ever. My year began in Amsterdam, among friends, with street art, underground places, many bike rides on the forbidden city and also marked the farewell of a great love. I have a superstition that, like the vibe of your New Year’s eve night, this can say a lot about the year that is in front of you, waiting to be lived. The New Year’s eve night was confusing, however exciting, marked by a torrent rain, which caused us much trouble to get to downtown to celebrate the turn of the year. It’s tradition in Amsterdam, after a few minutes of a beautiful fireworks, that people spend the whole night dropping bombs, lots of bombs throughout the city. The scenery although is a party, resembles a war with a lot of noise and a mist formed by the smoke that infests the entire city. The scenes of that night were so strong that ended up being “censored” in the video below, produced by my good friend, also a film-maker, Charles Devoyer. The next month, during a season in Brazil, on a Friday of Carnival, I spent the whole day filming and interviewing the graffiti artist and my fellow L7M. It could be an ordinary interview, but not for the fact that we were doing the work in an abandoned factory, a dirty place without windows, leaky, frequented by crack users… it was only a small sample of fear and danger I was to live through the year 2013 (check full article here). Returning to Paris, after three months of intense mourning caused by the end of a relationship with “my great love”, at the beginning of the summer, I went to the South of France, Hossegor. With my colleagues from Montebelo, we brought the Californian band Allah-Las, who performed a benefit concert to support the Surfrider Foundation. It was an extraordinary day, influenced by the healing power of the sea, which brought the shine back to my life, and this time a much brighter glow, like a diamond that had just been cut (check full article here). The high point of overcoming and adventure of 2013 was to visit the Catacombs of Paris with the artists Psyckoze and Zezão. Although the official video is not ready yet, I’m showing a flap of the stairs we had to face to get to this parallel universe. My biggest fear that haunted me throughout my life was the fear of heights and this was overcome in this rainy night in the month of August 2013. Down and head up 45m, the equivalent of a typical Parisian building with 6 floors, at an angle of 90 degrees without protection, in the dark, steps with a distance of 1 meter between them, slippery due to the rain, placed me on edge. As if it was not enough, for the visitation to be according to the artists’ expectations, who are “the kings of the underground universe in Sao Paulo and Paris”, we had to crawl on our bellies for over 200m in a tunnel under 1 meter of height. In 2014, the official video will be posted with further details of this adventure that marks a watershed in my life. 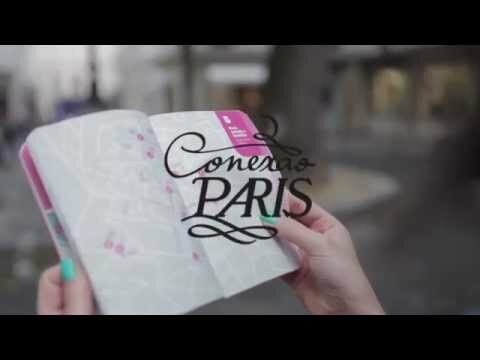 At the peak of the Parisian summer, the tour that I had spontaneously created in 2012, called Midnight in Paris by bike, was released in partnership with the website Conexão Paris. The success was immediate, Brazilian tourists from North to South came to live this unforgettable experience with me at hot nights with much emotion. I indicated my friend and filmaker Charles Devoyer to undertake a project that launches a series of videos showing our general proposal for Brazilian tourists (check full article here). 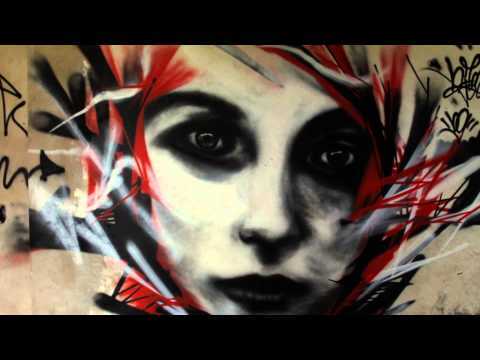 In the year that the homosexual wedding was approved in France, finally we let out the first chapter of the documentary that we began working in 2012, called ‘The Future of Street Art’. This experimental project, for which I interviewed more than 35 artists in 4 days, was launched with a portrait of the artist Kashink, who used the power of the wall in the city to paint more than 50 cakes of marriage between two men, representing her support for the French homosexual community. The video is not only the initial opening of this project, that still has huge chances to be developed, but also participated last September of the first festival of short films about street art in France. The union is strength, no doubt. On a beautiful summer day, when I organized the performance of the Brazilian artist Zezão to paint Le M.U.R. at Rue Oberkampf in Paris, we also managed to put 5 more international artists during that afternoon to create artworks that were donated to the Surfrider Foundation, the largest non-profitable organization that works for the protection of the oceans. The project has filled our hearts with hope and showed us that with creativity and collaboration we can accomplish great things. The project continues in 2014. (check full article here). In November, I concluded a super late video interview with the Brazilian artist Eduardo Kobra in Sao Paulo, that I recorded earlier this year. 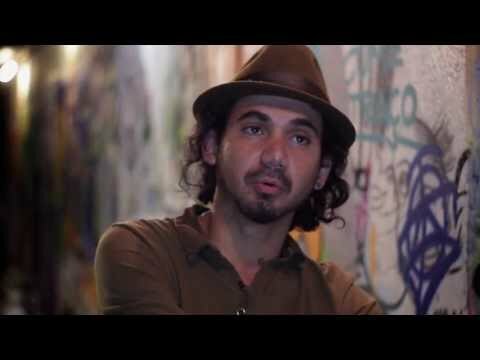 Kobra talks about how the city of Sao Paulo still lacks urban art, talks about how he uses the walls to protest in favor of the protection of animals and how sadly in Brazil we do not have the culture of preservation of our history. Although Sao Paulo is among the five most important cities for street art in the world, next year I expect to see the “gray city” even more colorful (check full article here). And to conclude my retrospective of 2013, one video I recorded on my mobile phone about a great adventure I lived by bike late autumn. 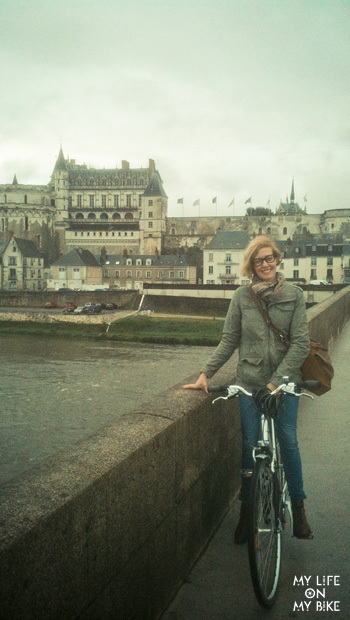 For 2 days, I cycled 80km, traveling from Tours to Blois, completely alone, in the rain and in the shores of one of the wildest rivers in France, The Loire Valley. I confess that I dangerously exposed myself “naked”, I was afraid and I would even say that I felt certain dread, however I survived and I came out of this experience stronger to face all the challenges that life delegates me (check full article here). I’m ready for 2014, a year for loving, venturing, cycling, shooting, recording, traveling, interviewing, overcoming challenges, helping others and being happy, very happy!